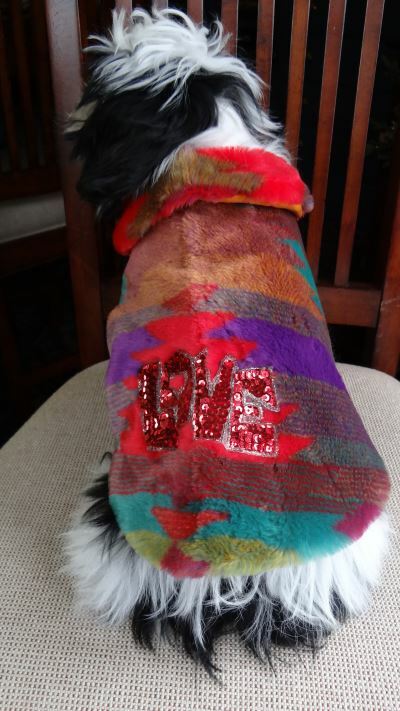 This Bright Colored Faux Fur Dog Coat with Hand Stitched Sequins has the sequined word "LOVE" hand stitched on the back. 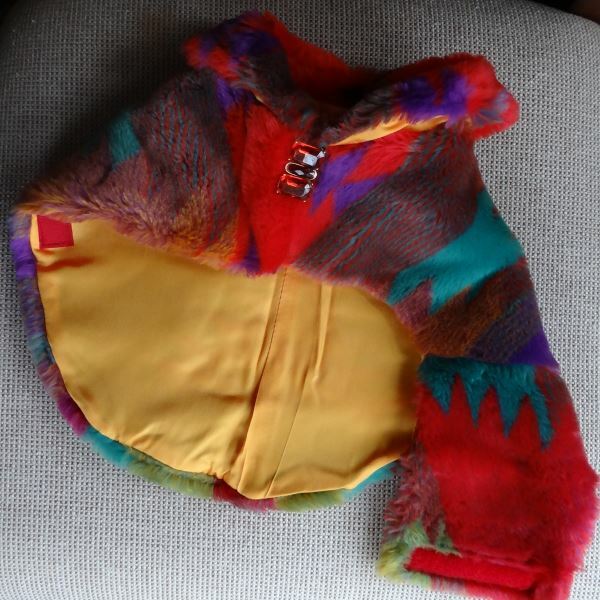 The colorful dog coat is a mix of red, gold, purple and aqua in a beautiful pattern. 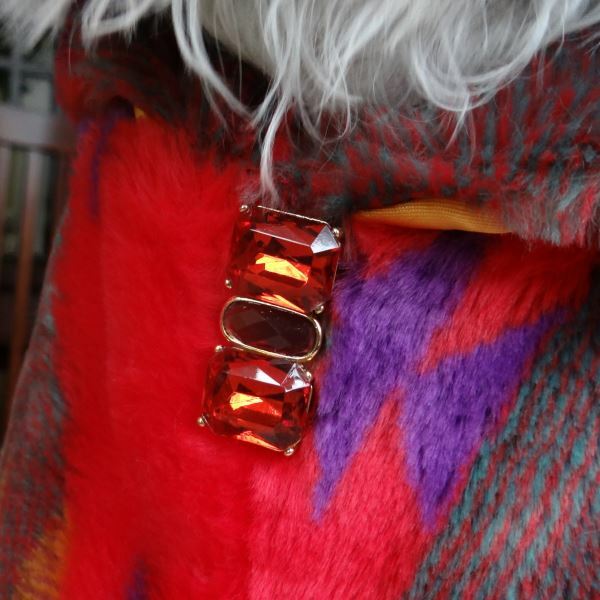 As a special touch, there is a red and purple gem is at the throat. 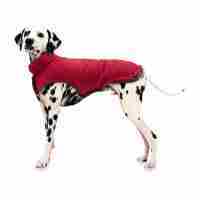 This gorgeous dog coat was made in our Bark Avenue Dog Boutique shop by our own skilled designer. You will not see another one like it. 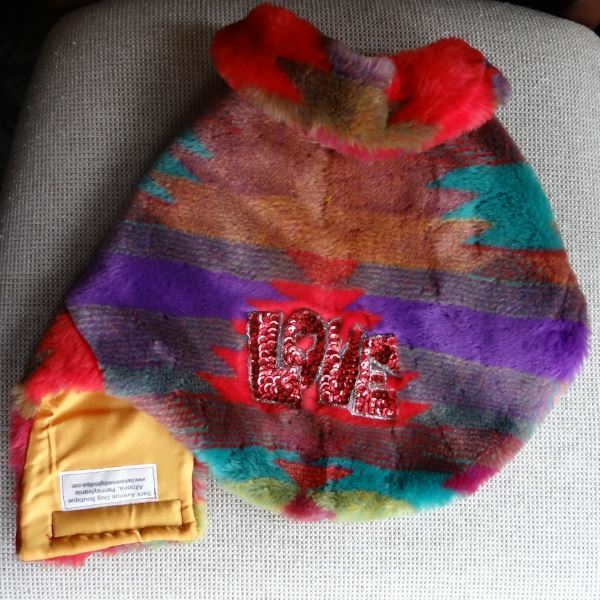 This is a one of a kind dog coat. 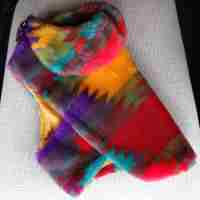 No other sizes are available for this style. Once it's sold, it's gone! 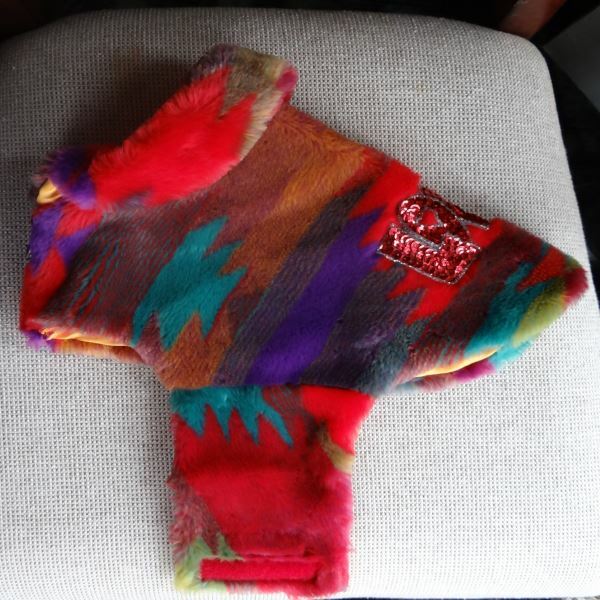 This Bright Colored Faux Fur Dog Coat is for a smaller size dog. See recommendations below. 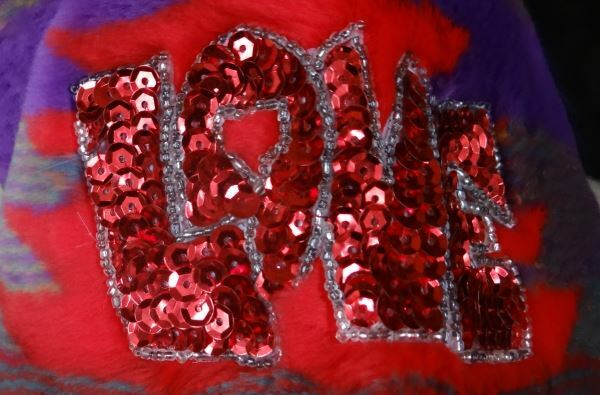 The measurements are 10 1/2 " down the back, 10 1/2 " neck, and 19" around the tummy. If you are not sure of the sizing, please contact us for consultation.